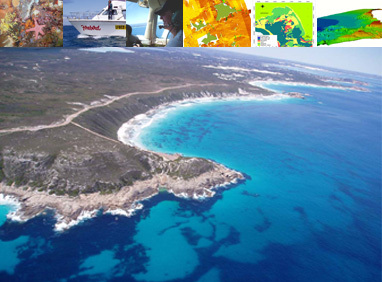 Spatially explicit marine habitat data is required for effective resource planning and management across large areas, although mapped boundaries typically lack rigour in explaining what factors influence habitat distributions. Accurate, quantitative methods are needed. In this thesis I aimed to assess the utility of ecological models to determine what factors limit the spatial extent of marine habitats. I assessed what types of modeling methods were able to produce the most accurate predictions and what influenced model results. This study has mapped representative habitats within the Recherche Archipelago, providing baseline information to the community and improving scientific knowledge of this previously unstudied region. In a broader context, it is hoped that ecological models can improve our understanding of where particular habitats might be found and predict the distribution of habitats in unsurveyed areas. Expectations surrounding the use of ecological models in the marine environment are high, however little research has tested their applicability given available data and current sampling methods. This is of key importance given marine data are inherently costly to collect, data are often sparse and of varying resolutions and qualities. Issues surrounding the implementation of models need to be evaluated. This research aims to reconcile model requirements with the practicalities of sampling large areas of the seafloor. My work was funded primarily by the Fisheries Research Development Corporation, as well as the Cooperative Research Centre for Coastal Zone, Estuary and Waterway Management (the Coastal CRC).